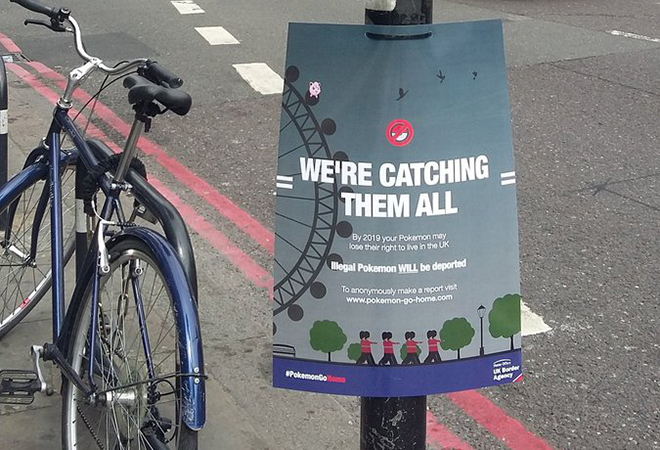 A team of creatives has launched a guerrilla poster campaign in the UK using the #PokemonGoHome theme to raise support for EU citizens in the wake of the UK’s Brexit vote. 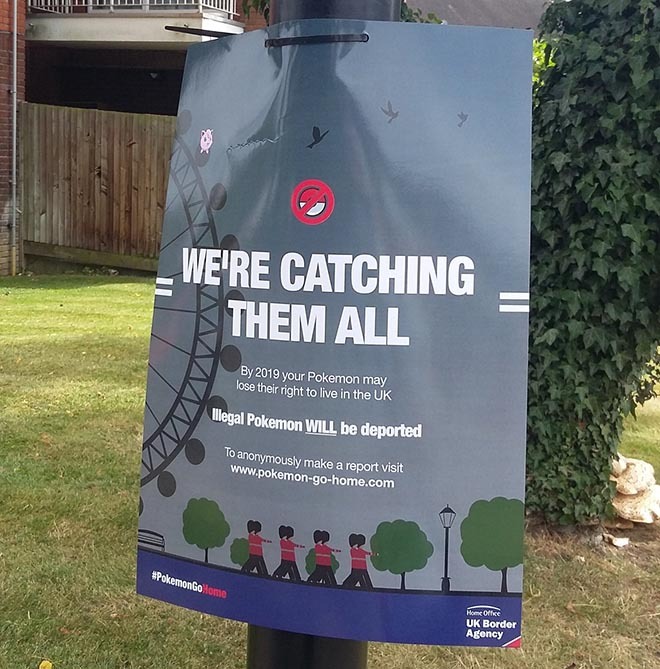 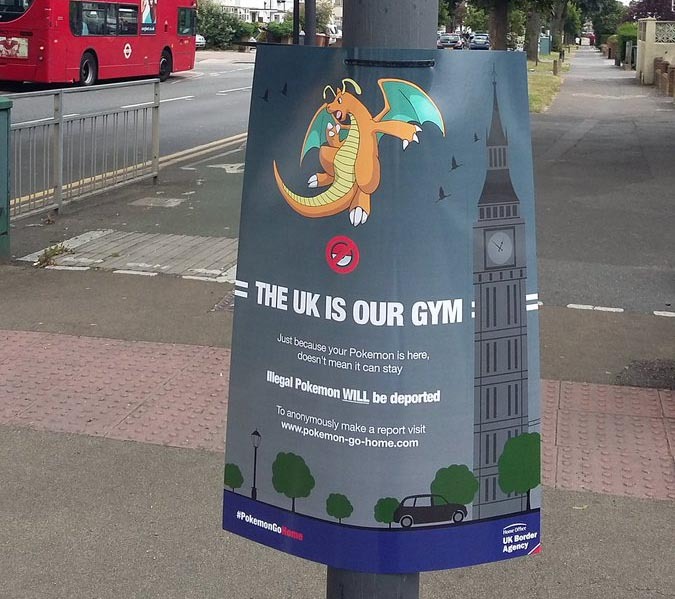 The Pokemon Go Home posters across London present a disturbing scenario in which Pokemon characters from the Pokemon Go game are soon to be deported. 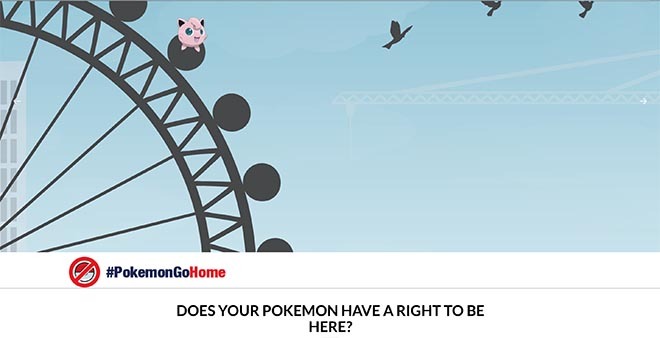 Readers are invited to follow up their concern at pokemon-go-home.com and sign a petition to the UK government. 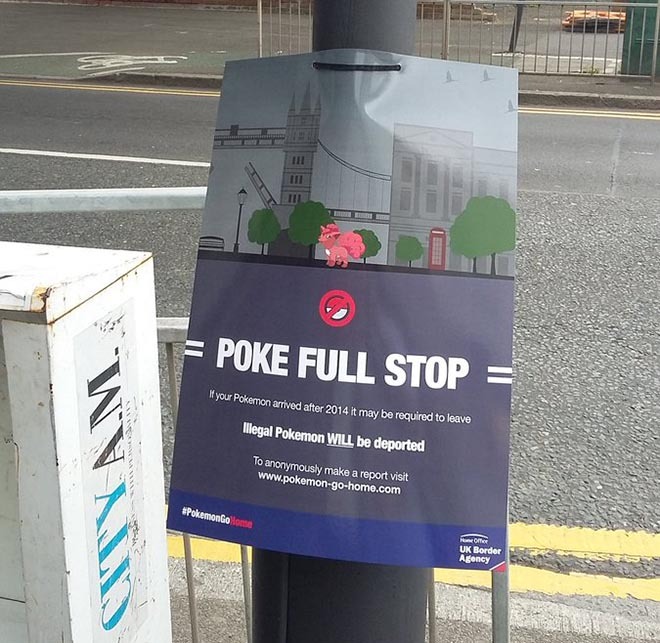 Copywriter David Felton came up with the idea while talking to a Portugese art director who confessed that he is “genuinely worried and concerned about this future post-Brexit.” Felton connected with graphic designer and web developer Steve Sinyard on @OneMinuteBriefs, and brought in creative director Evan Brown from Los Angeles.